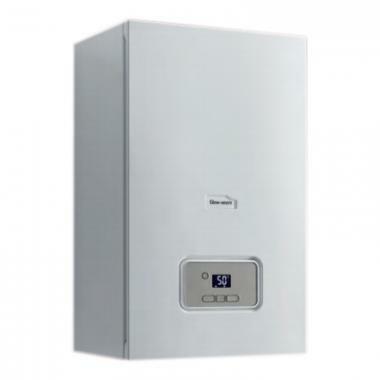 The Energy System gas boiler is a highly efficient model which uses condensing technology and is wall mounted. As a System boiler it will send hot water to your radiators and a sealed hot water storage cylinder. The important parts of the system are built into the boiler which makes it more compact and easier to service. It has been manufactured and designed in the UK by Glow-worm with a variety of features which result in an efficiency rating of 89.3%, ErP rated A. The output of 25kW makes the unit perfect for the smaller homes with one bathroom which do not have a high demand for heating or hot water. This boiler is also available in an 12kW, 15kW, 18kW and 30kW ensuring there is a boiler in this range to suit your needs. This boiler has been designed to lower your running costs as it comes with a high efficiency modulating Grundfos pump that adapts to your actual heating and hot water demand. This boiler is able to be installed virtually anywhere as it has a rear flue option which means it can be installed almost everywhere. It is such a compact unit it can be installed inside a standard sized cupboard with ease to save that much needed space in your home. This boiler also comes with 7 years warranty so you can be sure that you are getting a reliable unit. Amazing boiler that is easy to install, looks nice and clean hanging on a customer's wall. Also has room to service and change parts if needed. Tec line is helpful aswell!